Glad You Asked: Is Utah’s State Rock Good, Bad, or Ugly? Glad You Asked: What is Utah’s State Soil? We often receive questions about Utah’s state symbols, especially those that concern the state mineral (copper), rock (coal), and gem (topaz). Most of these inquiries are from people who live outside the state and are planning Utah rock-and mineral-collecting vacations. Minerals: Minerals are naturally occurring inorganic elements or compounds that have an ordered internal structure and characteristic chemical composition, crystal form, and physical properties. For example, quartz is a mineral as is copper. Rocks: Minerals combine to form rocks like granite, basalt, and sandstone. 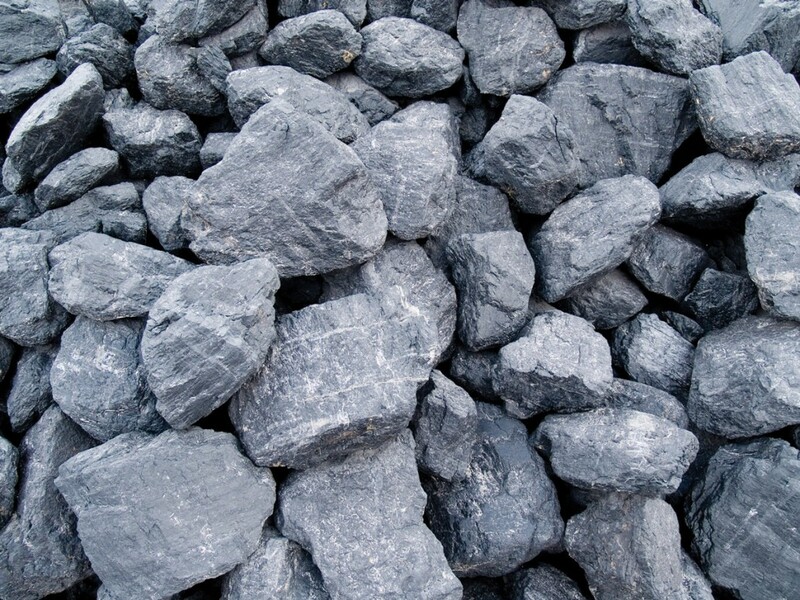 Rocks can also be composed of solid organic matter, coal is an example. Gems: Gems are especially fine (“gem quality”) mineral specimens that have few flaws in their internal structure and exhibit superior color. 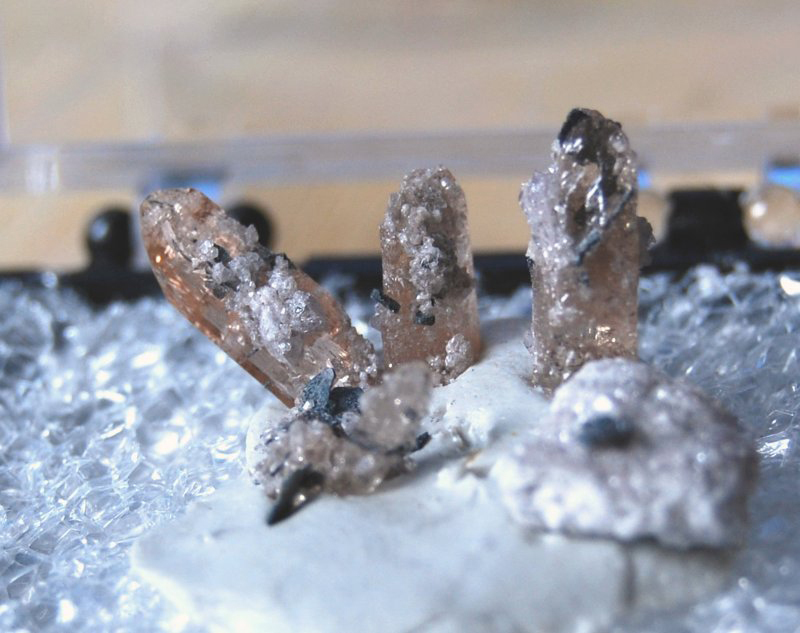 These high-quality minerals are typically cut and used in jewelry. Copper is valued for its high conductivity of both electricity and heat. It is used extensively in electronics, plumbing, transportation, and in alloys (a mixture of two or more metals) like brass and bronze. Most of Utah’s copper has been and is currently mined at Kennecott’s Bingham Canyon open-pit mine in the Oquirrh Mountains. The Bingham Canyon mine has produced over 21 million tons of copper since open-pit operations began in 1906, and the pit is now nearly 2.5 miles wide and over 0.5 miles deep. Bingham Canyon is the largest copper producer in North America and has been a significant contributor to Utah’s economy for over a century. Coal originates as plant matter that accumulates in wetlands or bogs. Anaerobic bacteria break down the plant matter and convert it to peat through the removal of oxygen and hydrogen. As the peat is buried by sediment and begins to compress, and as temperature and pressure increase, the peat is converted into lignite, then subbituminous coal, then bituminous coal, and finally anthracite. Most of the coal mined in Utah is bituminous, and nearly all of the mined coal (85%) is burned at power plants to produce electricity. Mining is primarily concentrated in the central part of the state in Emery, Carbon, and Sevier Counties, and production averages 14–16 million tons a year. Topaz is a gemstone found in Beaver, Juab, and Tooele Counties. It is an aluminum fluorosilicate that forms from fluorine-bearing vapors given off during the last stages of cooling and solidification of siliceous igneous rocks. Naturally occurring topaz comes in a spectrum of colors although it is commonly irradiated or heated to enhance optical properties. In the Thomas Range of western Utah, topaz occurs in cavities in rhyolite bedrock that bear the sought-after rich sherry-amber topaz. When exposed to sunlight these alter to rose-pink or to a clear, silver-white color. Due to its beauty and hardness—the hardest of all silicates—topaz is used primarily in jewelry. 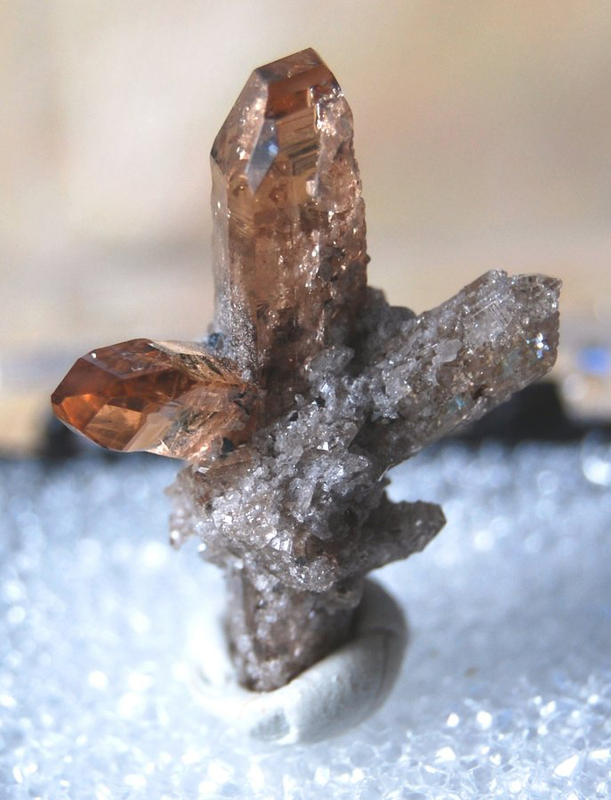 For information on where to collect topaz in Utah, refer to “The Rockhounder, Topaz at Topaz Mountain” article.